AForge.NET framework provides set of classes allowing manipulation of different Surveyor's robotics kits. The SRV1 class allows to control Surveyor's SRV-1 Blackfin robot providing access to its video feed, motors, servos, ultrasonic modules. 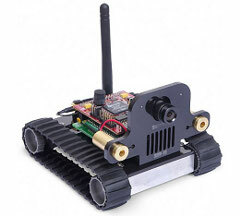 Also it allows to send commands directly to the robot, which are defined by SRV-1 Control Protocol. Similar to the above, the SVS class allows to control Surveyor's Stereo Vision System board providing access to its both cameras, motors, servos, ultrasonic modules. Also it allows to send commands directly to the board, which are defined by SRV-1 Control Protocol. 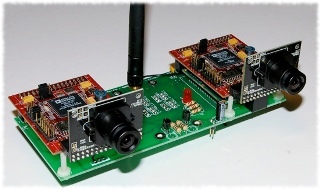 Check the next article for additional information about Surveyor SVS board: Starting with Surveyor's Stereo Vision System board.